My Spanish is way better than my English so I see a number of this Spanish speaking patient, right. I don't know if it's by chance or because they are kind of, in a way, driven in my direction. 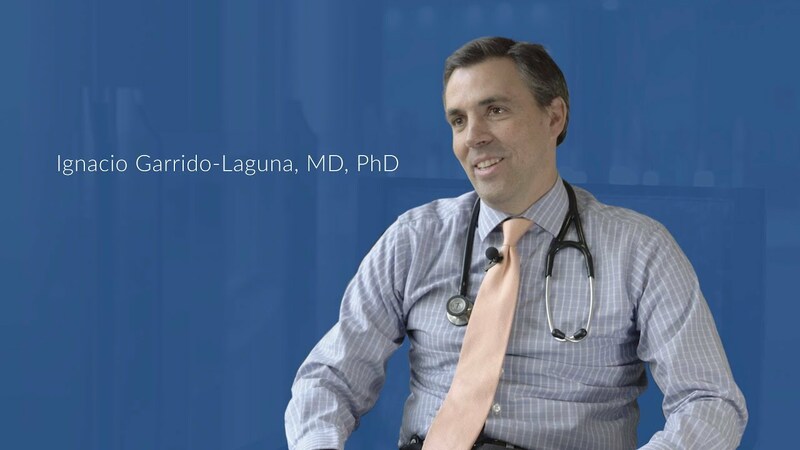 My name is Ignacio Garrido-Laguna and I am a gastrointestinal oncologist with a special interest in pancreatic cancer. I grew up in Grenada, in the very south of Spain. It's in a way very similar to Utah, it's also by the mountains, in a valley. Granada has a ski resort that is only 45 minutes away but it's an amazing ski resort. I grew up skiing there. One of the foods that I really love in Spain, it's just very simple, it's just fried eggs, it's called plato alpujarreño which is just fried eggs, a special type of potatoes, and then chorizo, morcilla, jamón serrano, it's amazing. It's really, really good food. In Spain you don't do an undergraduate, so when I finished high school you go straight into what will be graduate training here, and I did two years of dentistry school. My dad is, my dad was a dentist, and I realized quickly that what I really enjoyed about that was the human body, the physiology, understanding the mechanisms of disease, and so on, and the mouth was probably too small a space for me. What do you see in the future of pancreatic cancer treatment? It's definitely a great disease to work in, if you're interested in clinical trials because I do believe that the best is still to come and I think that we can look at the melanoma story. When I was in training back in Spain, we pretty much had nothing to offer to those patients with melanoma, right? And now you have a number of drugs to pretty much pick of your best choice for a patient with melanoma. I hope that we will see the same change in pancreatic cancer in the next few years. Of course, this is a completely different disease, right? But I think that there's plenty of opportunity to learn and to improve and to have an impact in the outcome of our patients.